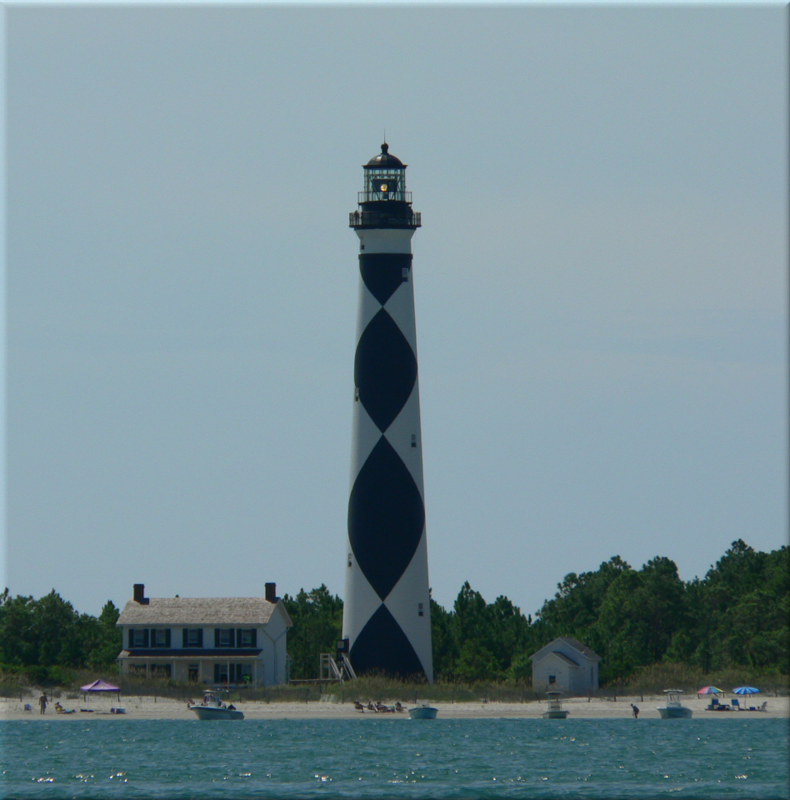 Kayak from Harkers Island to Cape Lookout Lighthouse. It felt more like fall than the dogs days of summer. For the 15th of August, it was cool day with temperatures in mid 80s (the morning low was 64) with low humidity. The winds were out of the Northeast at 10 knots. The only problem, I didn’t think the trip fully thought. I catch the 08:00 AM ferry boat from Minnesott Beach ferry. 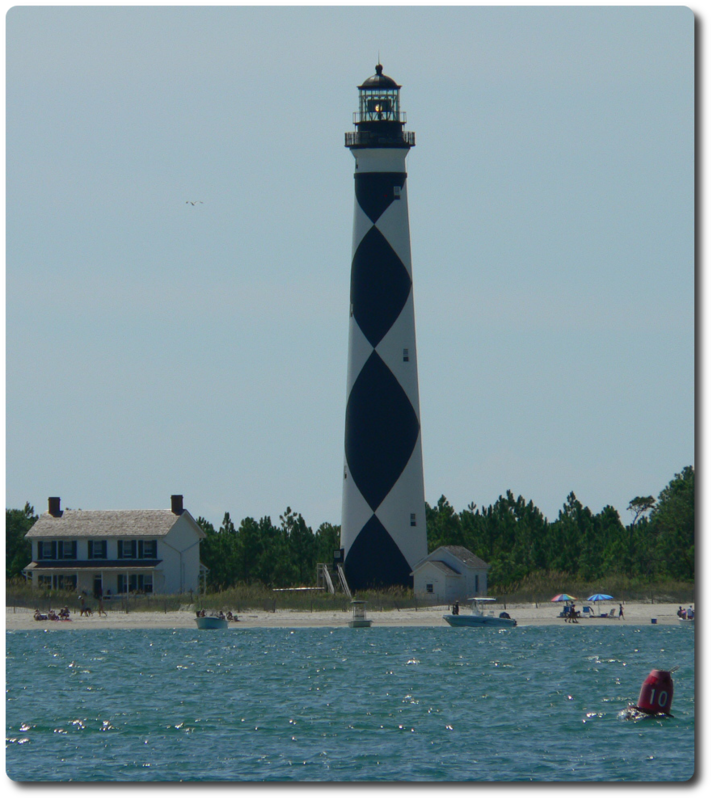 I was on way to Taylor Creek and decided to switch plan to kayak from Harkers Island from the Cape Lookout National Seashore Visitor Center. The kayak launching area was excellent. My first stop was a small island .4 of natural mile from the Visitor Center. I called it Pelican Island. There were initially hundreds of pelicans on the island nesting. The tide was going out and the wind was the Northeast, so kayaking toward to the Pelican Island was a breeze. So, I decided to kayak to the next island, Morgan Island. It was appropriately .6 natural mile away. A nautical mile is 6,083 feet, or about 1.15 ordinary miles. So far, kayaking is a breeze. The out going tide is making my trip easy. From Morgan Island, I kayak to Sheep Island and then to Great Marsh. 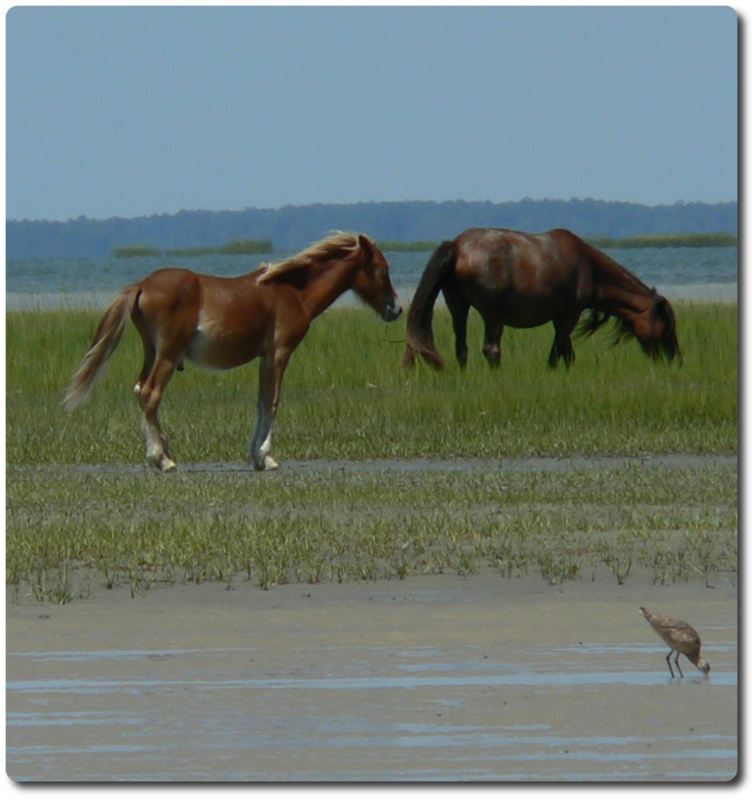 The next thing you know I was coming on Shackleford Banks. I kayaked 3.5 natural miles in 1 hour and 15 miles. Now the fun part, kayaking back to the car against the wind and tide. I really did not think this thought. I hanged out at Shackleford Banks to have lunch. I had plenty of water and food. I brought my portal solar charger for the iPhone, but I forgot to bring the cord to attach to the iPhone. So, I turned my Navionics app off to save power. I figure I might need my cell phone, if I get stuck. Lucky, you can camp out at the National Seashore park, but I didn’t bring my camping equipment. Maybe next time, I will plan on camping out and catch tide coming in. After a hour rest, I started the 3 hour paddling workout back to the Visitor Center on Harkers Island. 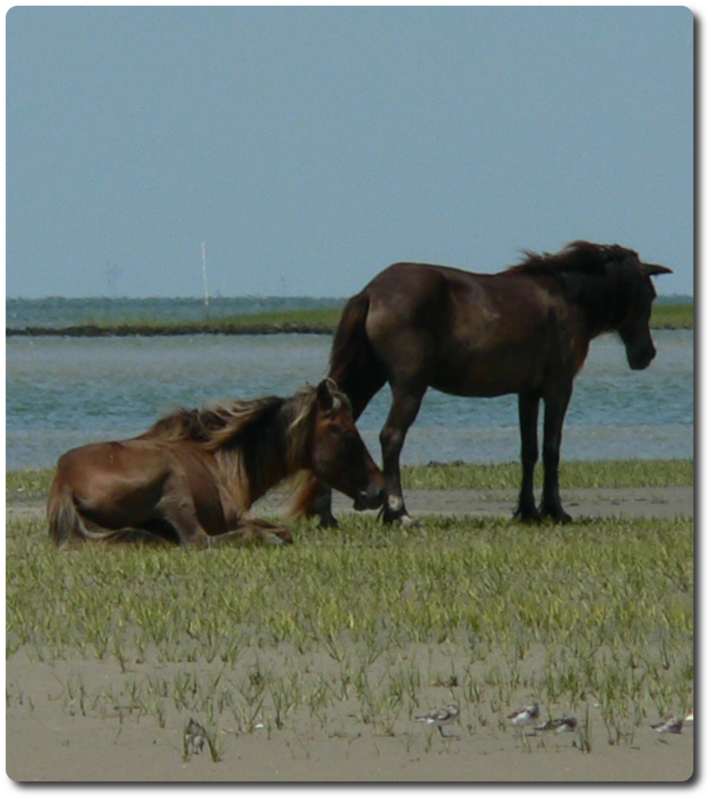 At least, I saw many wild horses on the way back. I was cutting thru the Marsh to get out of the wind and current. As I was coming up on Morgan Island, I notice that power boats were beached. I wonder why? There were many wild horses gazing on the grass. Even they were taking rest and enjoying the nice summer day. Over all it was nice day for kayaking. The weather forecast was calling for the wind to changed to East, unfortunately it didn’t happen on this trip. Next time, I am going to plan on staying over night and enjoy the camp fire on the beach. Maybe even think about getting sail for the kayak.